Sports centers allow for communities to come together in one place to practice their favorite sports, become part of a team, and get fit. 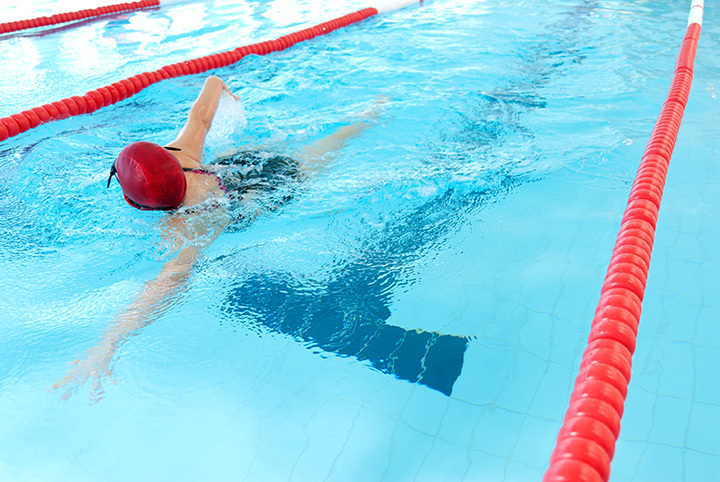 As Marylanders value staying fit all year long, it’s no surprise that there are popular sports centers and complexes around the state offering opportunities even when the weather is not so great. So if you’re looking to join an adult soccer league, put your child in a sports camp, get in a few swings in the batting cage, or swim a few laps in the pool, these 10 Maryland sports centers can help you do just that! A lot of activities fit into this facility including an indoor track, pole vault runway, jogging track, Olympic size pool, gymnastics center, football, soccer and lacrosse fields, and so much more. This is more than a sports center. It is an everything center. No matter how old or what the skill level is, everyone will find an activity to enjoy at the Prince George’s Sports & Learning Complex. Made for kids, this sports center has a lot of activities for children looking to either get into athletics for the first time or hone their skills. They offer, volleyball, basketball, soccer, and golf clinics with experienced coaches and each session lasts for around two months. This is a 43,000-square-foot facility so there is plenty of space to have multiple games going on at one time. This is an indoor/outdoor sports complex, managed by the Maryland Soccer Foundation. The indoor sports complex has plenty of space for soccer games, basketball, volleyball, lacrosse, field hockey, and indoor baseball. This makes it possible to enjoy playing sports, even in the middle of Maryland winters. Adult Meetup groups play here so this is a popular spot for both adults and children looking to stay active. They have summer camps that the kids will love, futsal (which is similar to indoor soccer but on a hard surface), basketball leagues and clinics, Zumba classes and a variety of fun events hosted throughout the year. Here you will find sports activities for kids as young as two all the way through adulthood. They offer soccer, basketball, baseball, lacrosse, field hockey, futsal, and flag football. For something unique, try their bubble soccer which is a totally fun experience. These activities all happen on a regular basis but they also offer camps and clinics. They offer numerous leagues including a high school basketball league, indoor field hockey league, and futsal league. This creates a lot of opportunities for competition, something that makes the game even more fun. For those interested in developing skills for younger children, they have programs like Lil’ Dragons designed to teach kids Tae Kwon Do. You can work out here, swim in the Olympic-size pool, play lacrosse, softball, soccer, field hockey, basketball, volleyball and even wrestle. There are activities to keep you and your family busy all year long and plenty of competition for those looking to hone their skills. In the summer, they also have camps for the kids to keep them busy and active. They were voted the best gym in Howard County last year. This sports club offers far more than exercise equipment. It is open 24/7 so this is the right spot for anyone with a crazy work schedule or night owls. They have a kid’s play area so that younger children can come along while adults are playing sports, working out or swimming in their large pool. Close to Washington D.C., the Capital Sportsplex attracts players from Maryland and D.C. This indoor sports facility is designed for competition. They have girls and boy’s leagues along with coed leagues and men’s leagues, making it possible to remain competitive for a long time. Some of their sports include soccer, futsal, football, field hockey, basketball and volleyball. You can also book your own events and games here. Located on the Eastern Shore, Crown Sports Center appeals to athletes of all ages. They have indoor and outdoor leagues and start with kids as young as 18 months-old (rare for sports centers). In addition to the standard sports like futsal and field hockey, they have coed kickball and ultimate frisbee. They also break down soccer leagues for adults by over 18 and over 30, so everyone can feel comfortable while having fun. View more Maryland Sports Centers and Complexes.